Celebrity Cosmetic Surgery: Youth Knows No Pain at the Arclight in L.A. Wed August 19th! Youth Knows No Pain at the Arclight in L.A. Wed August 19th! 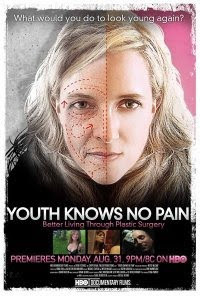 For anyone in the L.A. area, the plastic surgery-themed documentary Youth Knows No Pain will screen at the ArcLight Cinemas on Wednesday August 19th! Chris Kattan will emcee the post-screening Q & A with director Mitch McCabe, cast members, and the audience. You can buy your tickets in advance here. Check out what is sure to be the most influential, interesting plastic surgery-themed documentary in years!